A Nigerian man, Salihu Dasuki has become the youngest senior lecturer at Sheffield Hallam University. 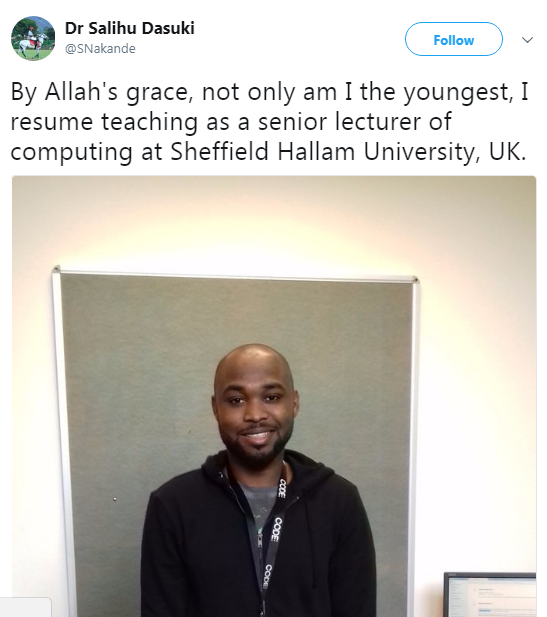 Salihu, 29, took to twitter to share the good news as he announced his resumption to work as a senior lecturer of Computing. 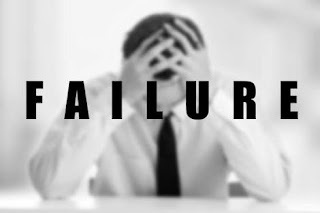 Salihu graduated with a first class degree in Information Technology from Eastern Mediterranean University, North Cyprus before bagging a Masters and PhD at Brunel University, UK, in 2012.